There's a bug - thankfully, a relatively rare one - that's wiping people's save data under certain circumstances when downloading the game's new DLC. The new Hidden Secrets pack, which basically just collects various preorder bonus gear and missions, is for most people just fine. But if you try and download it while already playing the game, you can be affected. Just a quick heads up, we're able to reproduce this issue at the studio and are working on a fix/workaround. From what we can tell, this problem seems to be rare and should generally only affect a very small number of players. That said, we're taking the speedy and complete resolution of this very seriously. 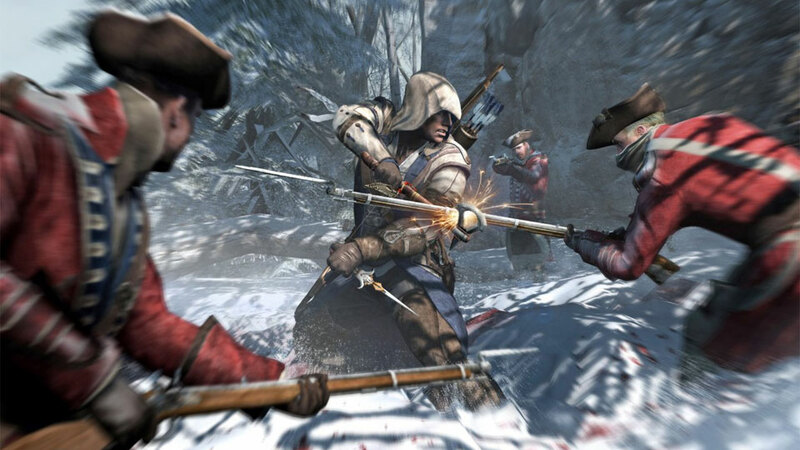 AVOIDING THIS BUG: Do not load your saved AC3 game while the DLC is downloading in the background. This appears to be the key trigger for this bug. You can do anything else you want to do, just don't load up your saved game and play it while the DLC is downloading. Got that? Good. This week is in no need of further salty tears. I got a bug that kinda wiped my uPlay account, deleted my points, changed my username (login by email/password still works) and de-registered my games. On a scale of 1 to 10 how would you rate uPlay? Are the pits of hell a valid answer? On a scale of 1 to 10 how would you rate pit pf hell?